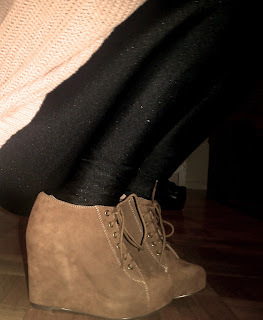 These are Jeffrey Campbell shoes! You can order a pair now from Urban Outfitters! They are on sale for $69.99, I believe. Their really comfortable and their a must have for the season!